What the Producers of The Next James Bond Film Could Learn From Marvel (RE: Idris Elba) - Afronerd: The Blerd Revolution Has Begun! So here we are again with more prurient speculation that the producers of the James Bond film franchise may break from tradition by casting popular Black British actor, Idris Elba for the vaunted role of Agent 007. And once again....it's not going to happen (nor should it). Longtime Afronerd Radio listeners are keenly aware that I am (for the most part) a stickler for canon and unless it's in print, logistically plausible or a wholesale reimagining, I'm probably not going to be supportive of such a change. The closest James Bond came to being even "Caribbean" was when Ian Fleming decided to name the character after his favorite (white) American ornithologist who was an expert in West Indian bird species. James Bond as a fictional character, is a very complex, if not perfidious figure. He's also very white-specifically of Scottish and Swiss ancestry. "Where does Marvel Comics fit into this? ", you may ask. Well after 80 years of stories including an extremely successful decade devoted to an interconnected universe with perimetric characterizations-why shouldn't Bond folklore follow suit? There is also the hurdle that MI5/MI6 have a diversity hiring problem in real time. Sure you can chalk up a rebuttal by affirming that it's all fantasy except Fleming's influences surrounding Bond's development were quite real. Fleming served as a commander in the Royal Naval Reserve during World War II where he encountered a cadre of impressive soldiers and spies that undoubtedly fueled his creation. His most immediate inspiration probably came from within in his own formative household as embodied in his older brother, Peter Fleming. But back to Marvel and the notion of a "Bond" of color. 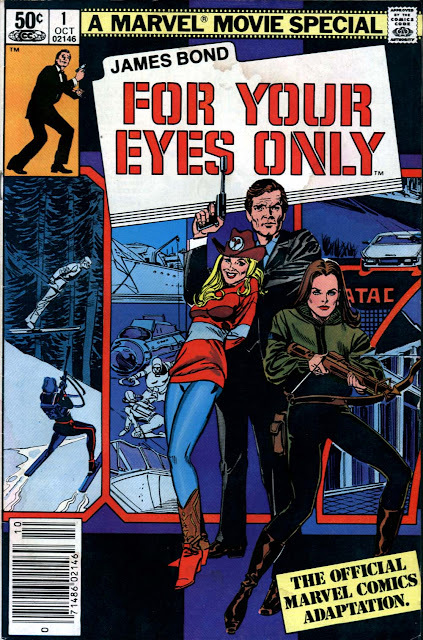 Just as comics (the House of Ideas, notwithstanding) explore an immeasurable amount of tangential heroes and storylines, why not a Bond-verse?. Bond's mythos is quite extensive, compelling (and racist in many regards) and just colorizing the character would actually be doing his prospective audience a disservice. Let's petition for a Black (and other protected class depictions) super spy with his/her own unique backstory that, like Fleming, relies on personal and historical context. There is an untapped wellspring of Black historical-fact not fiction-figures that are worthy of cinematic consideration. Why not a Mary Bowser film that highlights the eidetic former slave's exploits as a Union spy during the Civil War? Again, this is just the oftimes hackneyed tip of the iceberg. Let's get back to fiction. 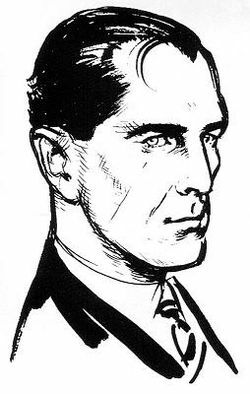 I propose that we build a better, stronger, faster and Blacker Bond archetype that belongs to another military agency beyond MI6-the British secret services since the first World War, diverged into approx. 19 department numbers. Let's expand the fictionalalized British Military Intelligence post Bond and while we're at it, I assert that for the next Lone Ranger adaptation, Hollywood should cast a Black actor for a change....this time for the sake of historical accuracy.